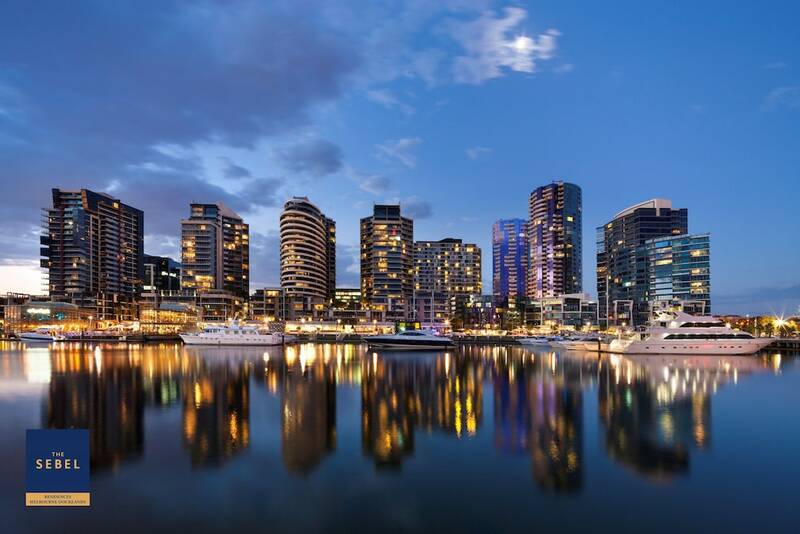 Located in Docklands (Melbourne Central Business District), The Sebel Residences Melbourne Docklands is within a 10-minute walk of Marvel Stadium and Melbourne Star Observation Wheel. This 4.5-star apartment is 1.2 mi (2 km) from Queen Victoria Market and 1.6 mi (2.5 km) from SEA LIFE Melbourne. Make yourself at home in one of the 103 individually decorated guestrooms, featuring kitchens with full-sized refrigerators/freezers and ovens. 32-inch LCD televisions with satellite programming provide entertainment, while complimentary wireless Internet access keeps you connected. Conveniences include phones, as well as desks and separate sitting areas. Don't miss out on the many recreational opportunities, including an outdoor pool, an indoor pool, and a fitness center. This apartment also features complimentary wireless Internet access, concierge services, and barbecue grills. Enjoy local cuisine at Carpi Café & Lounge, a restaurant which features a bar, or stay in and take advantage of the room service (during limited hours). Cooked-to-order breakfasts are available daily from 7 AM to 11:30 AM for a fee. In addition to an indoor pool, The Sebel Residences Melbourne Docklands provides an outdoor pool and a fitness center. The apartment offers a restaurant. This 4.5-star property offers access to a business center, limo/town car service, and a meeting room. A computer station is located on site and wireless Internet access is complimentary. This business-friendly apartment also offers a rooftop terrace, a library, and tour/ticket assistance. Onsite parking is available (surcharge). The Sebel Residences Melbourne Docklands is a smoke-free property. Cooked-to-order breakfasts are available for a surcharge and are served each morning between 7 AM and 11:30 AM. Carpi Café & Lounge - This restaurant specializes in local cuisine and serves breakfast, lunch, and dinner. Guests can enjoy drinks at the bar. Open daily. Check-in for this property is based at a different location, 18 Aquitania Way, New Quay in Docklands at the Sebel Hotel Melbourne. Pool access available from 6 AM to 10 PM.Parking height restrictions apply.